» Our Top 6 Favourite Jamie Oliver Recipes! He is known for a lot of things. 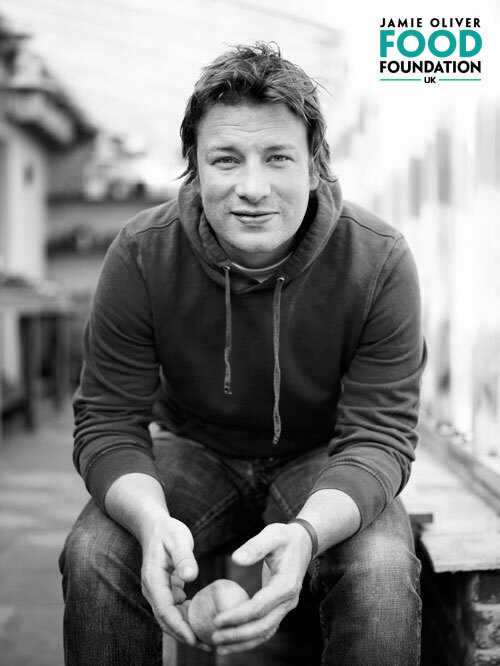 Jamie Oliver is the Naked Chef, has given us a peek at how it is possible to make sumptuous meals in 30 minutes, is one of the biggest culinary celebrities in the UK and US, has advocated for healthier food choices for kids and school, and has won multiple awards and recognitions for his work. Outside the kitchen and when off-camera, Jamie spends time writing books, traveling and learning new cuisines, pushing for a healthier America, and raising awareness about food culture and keeping cooking skills alive. He also has his own line of kitchenware. He can be quoted saying: “Having the right kit can make all the difference in the kitchen – my kit should have you set up and cooking for family and friends in no time.” He also partnered with Tefal to come up with high-quality cookware geared towards healthier cooking. Jamie takes your chicken to a whole new level with this recipe. Suggested serving: with dressed potatoes, rocket salad and Portuguese tarts. You can see the full recipe on Red Online. Jamie says: “Burgers are big news everywhere you look right now, from food trucks to fine restaurants, but if you want one that tastes great without causing a nutrition catastrophe, you need this one.” Get the recipe on taste.com.au now! This recipe comes from an episode of Jamie’s hit show, Jamie at Home. This simple pan-baked chicken dish goes with squashed new potatoes and tomatoes. Food Network has the complete recipe! Jamie Oliver serves chocolate pots in espresso cups. These treats are perfect for dinner parties and special occasions. You can whip these up in advance and chill them in the fridge. What’s great about these is you can prepare them in just 20 minutes! Food&Wine has Jamie’s full recipe. For this recipe, we’re featuring theKitchn‘s executive editor and cookbook author Faith Durand’s take on this Jamie Oliver original. She swears it is the “best chicken recipe of all time“. And we believe her! See her version of the dish on thekitchn.com and try it for yourself, too! This time, we go straight to the source of it all. Posted on Jamie’s website, this lovely dish can feed and satisfy up to 10 people. The Victoria Sandwich is the perfect dessert to top off your dinner or your afternoon high tea with friends! You can be sure that Jamie only uses and recommends the freshest ingredients, so you know – no matter how good it is – that it is good for you! Hope you enjoyed our rundown of our favourite Jamie Oliver treats! Is there a Jamie recipe not mentioned in the list that you think deserves recognition? Feel free to share your thoughts on our comments section below. 2 Responses to Our Top 6 Favourite Jamie Oliver Recipes! May I have the 6 recipes. I am a great fan of Jamie’s authentic cooking recipes and style – back to nature and basics. Mere.